We all get many stresses in our daily life for, example as we decide to do something today but we can’t and we keep on thinking about it over and over that we will do it tomorrow. Which has a big impact on us because we keep on thinking about one thing and our brain don’t function well because we keep on taking that stress. That stress will not even let you sleep well and if you don’t sleep well than in the morning your body don’t function that well and you keep falling asleep every time because it never had rest. 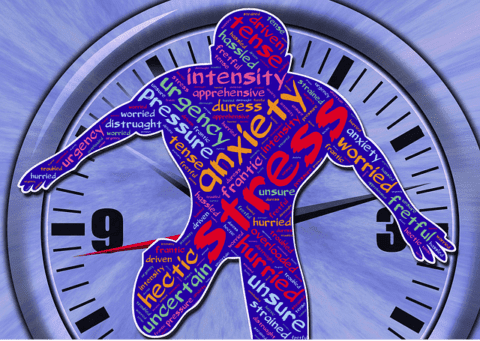 Chronic Stress that impact your daily life is when you continuously working all day and having arguments at home and stressing out for your exams, which cause you to get many diseases. which could affect your body for example it increases the activity level and number of neural connections in the amygdala, which means your brain functions really fast and alzheimer’s disease, asthma, stroke and it could damage many cells. Organs in our body and chronic stress can dampen function of some immune cells making you more susceptible to infections and slow the rate you heal. I have learnt not to take stress for no reason and because how it affects your body. The amazing things about the video I watched was that it explains very well and it gives you more information. It also makes your understanding very well and it is very important to stay healthy because it can keep you focused, keeps you strong and it can fight illness. It can help you later in life and getting a regular sleep is another important way to stay healthy. Stressors and their Impacts by Adila is licensed under a Creative Commons Attribution-ShareAlike 4.0 International License. The magic waterfallsIs the world really going to end?